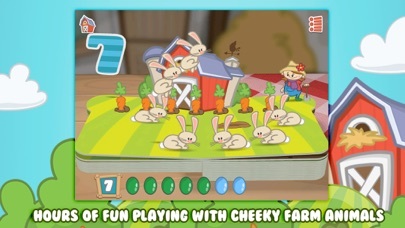 Home » Games » Farm 123 - Learn to count! 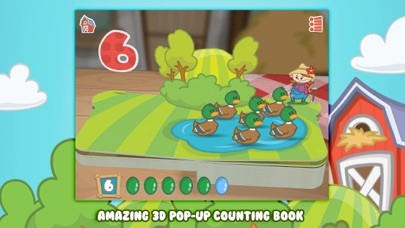 Kids will love learning to count as they help Farmer Jo around the farm in this magical pop-up book and game. They'll have hours of fun playing with cheeky farm animals: Chasing them, putting them in the pen, and giving them a good wash! iLounge Rating: ""A""! 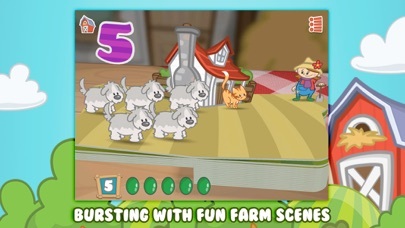 ""For the asking price, there's literally nothing more that we'd add to this title, or want to see improved; it's a thoroughly well-developed edutainment title, and one of the best number-teaching games we've yet seen for kids."" ~ Jeremy Horwitz, iLounge Professionally designed with toddlers and pre-schoolers in mind, Farm 123 pays special attention to learning reinforcement through the introduction of gently progressive games that help your child cement their grasp of the numbers 1 to 10 and the core concept of sorting. 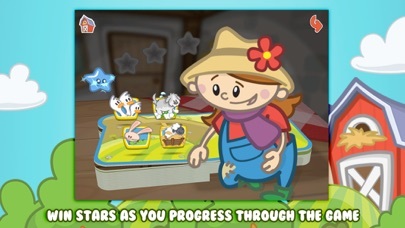 FEATURES Just like a real book, children can turn the pages and view pop-up scenes from different angles. • Wonderfully illustrated, with beautiful, pop-up imagery and a charming music score and sound effects. • Children win stars as they progress through the games. • The full book experience plus two fun counting games are absolutely free, forever! • Another 5 games can be unlocked with a single, one time low-cost purchase. This feature can be disabled. Farm 123 makes learning to count a magical experience. 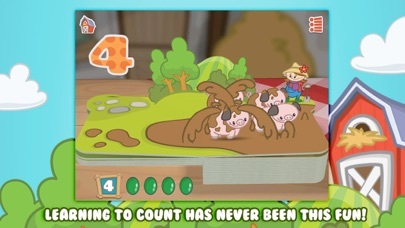 Kids will learn the numbers 1 to 10 in a series of dazzling, fully-interactive scenes as a cow jumps over the moon, pigs make a muddy splash, and eggs hatch in spectacular fashion. Farm 123 is the first in the StoryToys Jr line of products from StoryToys, the creators of the multimillion selling Grimm's series of interactive pop-up books. STORYTOYS AWARDS • Kidscreen Award • Winner of the Bologna Ragazzi Digital Award • 11 Children’s Technology Review Editor’s Choice Awards • 2 iLounge awards for best kids’ app • 2 Mom’s Choice gold awards • Mom’s Choice Silver award • Shortlist nominations for the FutureBook Digital Innovation Award • Best Kids’ App Ever winner • Longlisted for the DBW Publishing innovation award • 9 Tech With Kids Best Pick App Awards. My two year old loves it! Wish it was easier to restart the game though. The Home button doesn't work all the time. But otherwise very good and educational. This app would be get five stars if it didn't get white lines all over it whenever you touch the screen with more than one finger (which toddlers are likely to do). Wonderful app..keeps her very busy! My 15 month old son loves this app and has since before he was a year old. I wish they had more like this.